Synnex Australia’s strategy is Channel first. We offer channel partners the advantages associated with its solid and diverse demand and supply chains. This means channel simplicity - stock availability, timely delivery, high responsiveness and short turnaround time for after sales services. 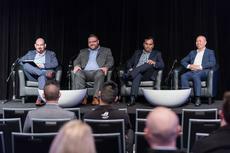 As the local landscape continues to evolve, Synnex Australia is evolving alongside, reinventing its value-add and extending its business solutions to drive long term channel growth and engagement. The Synnex Alliance event has become a major part of the calendar for channel businesses operating in both the enterprise and commercial space. Its strength as an event is the way it allows partners to gauge dominant trends and derive insights on how to tackle opportunities in the market.